We having cheap moving truck rentals available for daily rentals as well as long term rentals. Require movers and packers together with the truck? Hire them right here! Cheap moving truck rental service with drivers. No more worrying about returning the truck. Looking to rent a cheap moving truck rental? Rentalorry provides quality trucks that you can rent at one of the lowest prices you can find in town. Whether you are moving your furniture, office equipment or simply transporting logistics from location to location, a big and spacious moving truck will be able to make your moving job a much efficient and easier one! So whether it is commercial moving or home moving, get your truck rentals from us to enjoy one of the lowest prices you can find in Singapore. Why use a van or car when you can rent a moving truck that will make the moving process much more faster and efficient? We had a wonderful experience with Rentalorry. The movers were a little bit late but they did they job quickly and efficiently and everything was transported to our new place faster than we expected. Just need to settle the unpacking now. Thanks! We needed a moving truck with the driver just to transport a few luggage and small furniture. Everything was brought safely to our new place. No problems at all. The service was also quite affordable. Since we are a rental agency, you can get your trucks from us without worrying about insurance, road tax, maintenance and other miscellaneous matters that cost money. Hand it to us to worry about such matters while we provide you with the optimal moving truck to meet your moving needs. Hidden costs are thus eliminated and you can definitely place your trust in us. Working with numerous partners has allowed us to have access to a large fleet of well-maintained and efficient moving trucks. With such a large network, we are able to source out for the lowest prices available and direct you the cheapest and best alternative for truck rental. Besides being able to offer competitive rental prices, we are able to make the process of truck rental more convenient than ever for you due to our internal portal and large network of partners. We strive to bring you a hassle free rental experience. With so many suppliers, we will do our best to arrange the moving truck to be deployed at a location that is closest to you to save you the trouble of travelling when you are collecting or returning the truck. 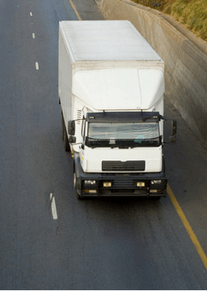 We also have a large fleet of truck rentals with drivers so they can quickly assist you no matter where you are. 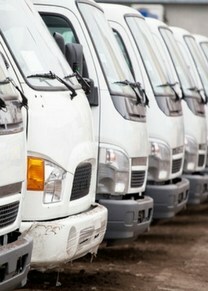 Our experienced staff will be able to answer any questions that you might have and guide you along in the truck rental. They would also be able to advice you on the best rental package to suit your needs, feel free to ask them any questions if you have any.